Sire's Sire: 2006 WORLD CHAMPION Moondust Masterpiece. Lineage Winnings Include: Dutch, VDH, Luxembourg, Polish, German, Belgian Retriever Club, BOB Lux, Club Show 2006 GRC Clubsieger, 2005 7 2006 Top Winning Junior The Netherlands. 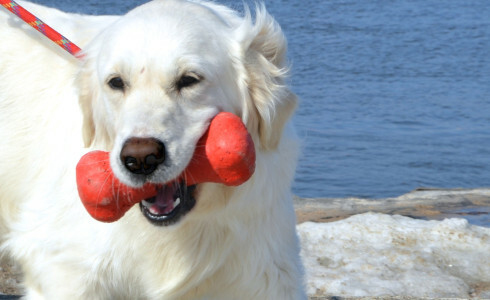 How many English Cream Goldens can say they have not one, not two, but THREE World Championship in their pedigree? Violet can. 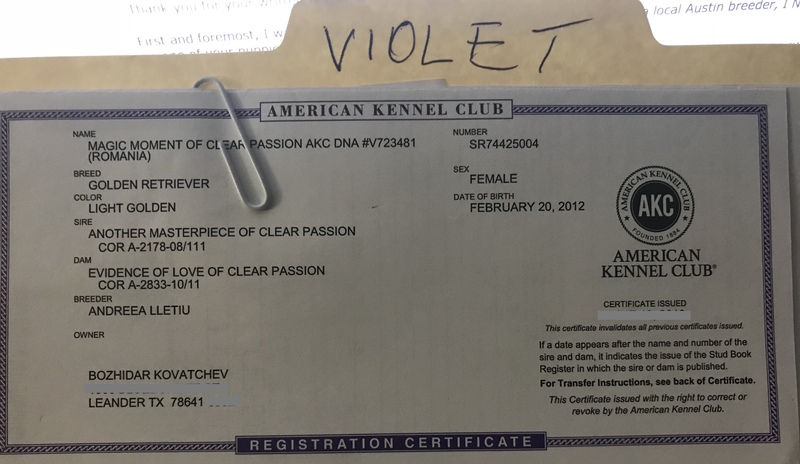 Violet is a real Champion (2013). 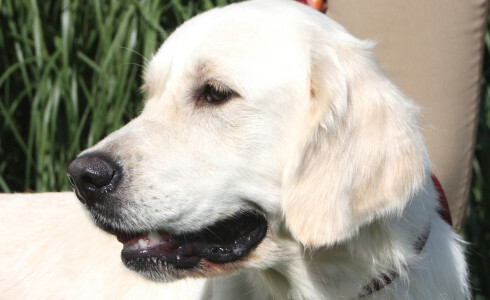 She has the line, the standards and the temperament of a White English Golden Retriever. She is a real lover girl. She will jump and wrap her front legs around you in a big bear hug. She soaks up love and gives love! Violet has incredible movement in the show ring. Her conformation is excellent. She is very elegant. She is obedient and loves to follow commandments. She produces gorgeous puppies. One puppy has already had 90% result on PennHIP! She is a World Champion Girl.